This timeless work is applicable to everyone who has experienced the struggle between good and evil in his own soul. 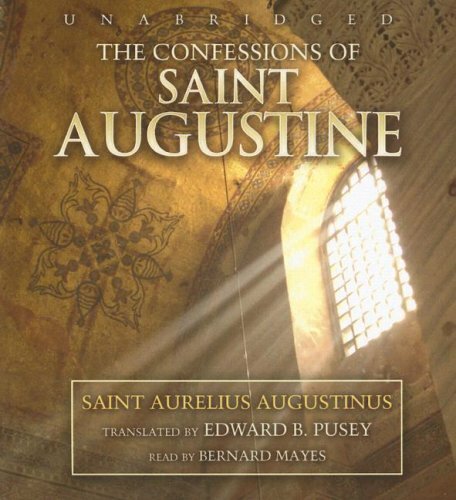 St. Augustine, born at Tagaste in Numidia (Constantine) in 354, was raised by a devout Christian mother. He abandoned the Christianity in which he had been brought up and had an illegitimate son. After hearing the sermons of Ambrose, he began a great internal struggle which led to his conversion in 387. The Confessions describes his conversion, shedding light on the questions that troubled him on his way to the Cross. The earliest of autobiographies, The Confessions remains unsurpassed as a sincere and intimate record of a great and pious person laying bare his soul before God. Other than Scripture, it is the most famous--and perhaps the most important--of all spiritual books. If you have any questions about this product by Blackstone Audio Inc., contact us by completing and submitting the form below. If you are looking for a specif part number, please include it with your message.